A LANDMARK plan to tackle climate change will finally be published after a cross-party group of politicians reached a compromise on the highly contentious issue of Carbon Tax. 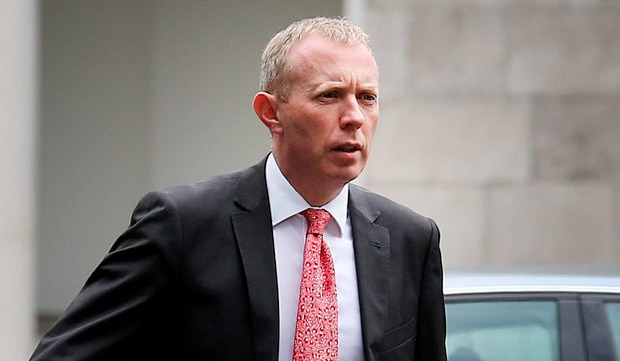 A row between Fine Gael and Fianna Fáil caused a last minute speedbump to the completion of the long-awaited report by the Oireachtas Climate Action Committee. The dispute hinged on a recommendation in the draft report that the finance minister introduce legislation this year setting a trajectory to quadruple Carbon Tax to at least €80-per-tonne by 2030. Fianna Fáil rejected this arguing that there needed to be clearer recommendations on how to alleviate fuel poverty and mitigate the effects of an increased tax on households. Last night Fine Gael TD Martin Heydon accused the rival party of seeking to “fudge” the committee’s findings while his party insisted they also wanted measures to protect households from the impact of carbon tax hikes. Fianna Fáil’s Timmy Dooley hit back saying he wouldn’t be lectured by Fine Gael and attacked their record on addressing climate change. Overnight an amendment was agreed by Fine Gael, Fianna Fáil, Labour and the Green Party to solve the impasse. The new recommendation, voted through by the committee this evening sees the pathway to raise the tax to €80-per-tonne included in the report. However, it says no moves to implement it should take place until a plan is in place to increase supports for households. It calls for a review of impact of a carbon tax on people in fuel poverty to be completed in the coming months. It also calls for a public consultation on the best way to allocate ring-fenced revenue from an increased carbon tax. This consultation should cover the protection of people in fuel poverty and specific a climate actions that could be paid for with the revenue and/or a fee and dividend approach, similar to the ‘carbon cheque’ for households idea mooted by Taoiseach Leo Varadkar. A policy paper resulting from the public consultation would be submitted to the government. The Climate Action Committee would then be given the opportunity to develop a consensus position “on how to allocate revenues to 2030 prior to Budget 2020”. The cross-party amendment to the report was passed by the committee this evening by 15 votes to five. A bid by Sinn Féin to include a recommendation that there be no carbon tax increases in the report was defeated by 15 votes to five. Sinn Féin and People Before Profit members of the committee are opposed to increases in Carbon Tax. Climate Action minister Richard Bruton welcomed the committee’s report and said he would consider its recommendations as his department works on an “all of government Climate Plan”. He said: “Climate disruption can no longer be ignored, we must respond. He said he was glad to see a cross-party consensus on “a number of difficult matters, including a price for carbon”, commonly referred to as Carbon Tax. Mr Bruton also noted that the committee has agreed with the government’s 70pc renewable energy target by 2050.